ANA Aeroportos de Portugal confirms that an accident occurred today at Lisbon Airport, Terminal 2, resulting in a deadly victim. Volotea starts today, 12th of April, a New Route for Madeira Airport from Marseille, a summer operation, that will bring around 2.200 passengers, from the 2nd biggest city of France, and the oldest French city. This flight will run, once a week, on Thursdays, using an B717-200, with the capacity to carry 125 passengers. Volotea also operates from Bordeaux on Thursdays and from Nantes on Mondays. To celebrate this new route, Madeira airports prepared a reception for the first arriving passengers, with traditional tastings of Madeira wine and honey cake. “We are very excited to launch this route connecting Madeira and Marseille, allowing a direct link with the Provence in France. Two extremely charming regions in Europe with outstanding attractiveness at both ends that we are pleased to offer with no stop-overs, good travel experience and competitive prices”, has stated Corporate Development and Communications Director, Carlos Cerqueiro. For VINCI Airports and ANA Aeroportos de Portugal, an airport is not only an infrastructure, it is also a place to live and interact. For that reason, and pursuing its policy of promoting customer care, loyalty-building and passenger services, the 36 airports that comprise the VINCI Airports network in 7 countries are planning a special event named “smiling day”, scheduled for tomorrow, Friday, April 6th. During this event, the staff working in these airports, regardless of their specific job, will reach out to customers. The aim of this “smiling day” is to offer a moment to relax and have fun together, as well as a unique experience in an airport infrastructure. At all Portuguese airports managed by ANA (Lisbon, Porto, Faro, Madeira, Porto Santo, Ponta Delgada, Santa Maria, Horta, and Flores), during this initiative, the staff working at ANA Aeroportos de Portugal will wear a blue vest in every airport of the network for easy identification and will be at the passengers’ disposal to provide information and offer refreshments and cookies. Always with a smile! This initiative falls within the policy of VINCI Airports and ANA Aeroportos de Portugal and aims to offer passengers a unique quality of service and pay close attention to passengers. The Smiling Day event was held for the first time at Nantes airport and it has spread to the whole VINCI Airports network since 2012. In 2017, 1,280 VINCI Airports employees welcomed nearly 250,000 passengers with the arrival of 1,850 flights. The Smiling Day 2018 edition has an interactive concept, connecting live 13 of the 36 airports in the VINCI Airports network. Francisco Sá Carneiro Airport, in Porto, was voted by ACI – Airports Council International as the second best in the European Region for airports with over two million passengers/year, ex aequo with Malta Airport and Sheremetyevo Airport in Moscow. The winner in the category was Sochi Airport. The award comes within the scope of the Airport Service Quality Survey (ASQ) study, the leading worldwide benchmark in the Evaluation of Passenger Satisfaction - 2017 Airport Service Quality (ASQ) Awards. The results of this study are based on questionnaires filled out by passengers who thus convey their opinion on 34 indicators, namely regarding the services offered by the airports in terms of customer service, waiting times, staff courtesy, cleanliness of facilities and comfort. We recall that in this evaluation, Francisco Sá Carneiro Airport, an infrastructure managed by ANA/VINCI Airports, with excellent accessibility, direct links to 72 cities and an exemplary service, was voted in 2016 as the third best in Europe in the same category and as the best in Europe in the category “by size” between 5 and 15 million passengers. “We are proud to find out that we were once again chosen by our passengers as one of the best airports in Europe. 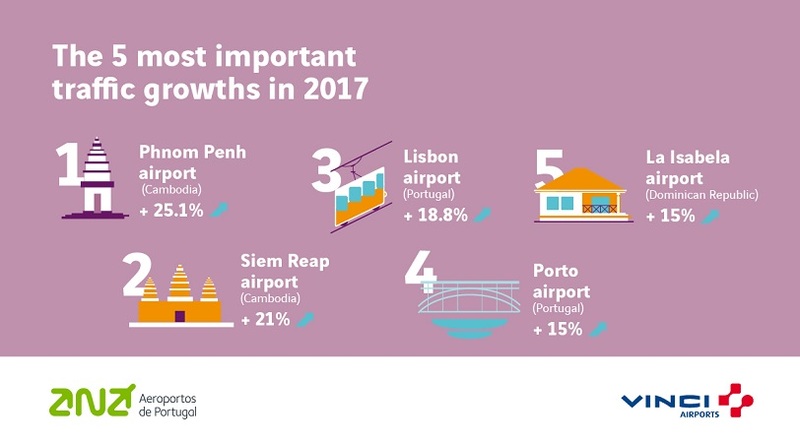 This is our 11th award in the past twelve years and it is especially important for us at a time when the number of passengers at the Porto Airport surpassed 10 million, resulting from a 15% growth vis-à-vis 2016”, commented Thierry Ligonnière, Chief Operating Officer and Director of ANA Aeroportos de Portugal. ACI – Airports Council International is the only worldwide trade association of airport operators. ACI Europe represents over 500 airports in 45 countries, responsible for over 90% of the commercial air traffic in Europe and for the movement of over 1.9 billion passengers annually. Since its inception in 2006, the ACI/ASQ Survey has become the world’s main airport passenger satisfaction benchmark, with more than 340 participating airports from 85 countries. Its scientific methodology, rigorous quality control procedures and commitment to impartiality gained the industry’s recognition and established the ASQ Survey as the global standard for measuring the passengers’ satisfaction. The ASQ Survey is the only global airport survey based on the measurement of the satisfaction of the passengers while they are at the airport. Around 600 thousand passengers per year are interviewed before boarding their flights, being asked to evaluate their satisfaction with the airport’s services. In 2017, more than half of the world’s 7.7 billion travellers passed through an airport of the ASQ. To be eligible for the annual ASQ awards, an airport must have participated in the ASQ survey every month of the year. The research must be carried out in strict accordance with the airport’s sampling plan, developed by the ACI, which ensures a representative sample of flights, destinations and passenger groups serviced by the airport. The ACI monitors the participating airports regularly to ensure compliance and to validate the results. Yesterday, 1 March, Francisco Sá Carneiro Airport opened a new security area. The opening of this new area is connected to the goal of increasing Porto Airport’s capacity in serving passengers in the security control area. “An airport’s capacity is the result of a combination of the individual capacity of all its subsystems: check-in, security, baggage, up to the runway or even to navigation or air capacity, for example” explains Thierry Ligonnière, Chief Operating Officer and Director of ANA Aeroportos de Portugal. “In the case of Porto, since 2017, investments were announced that enable us to process more passengers in the check-in and security area, seeking to increase this airport’s capacity, in order to deal with what we expect the evolution of demand to be.”, he adds. With the inauguration of this new area, Porto Airport’s security control area now has new screening systems, identical to those which had recently been implemented in Lisbon and Faro. In total, 21 new screening lines will be implemented in the three airports. In Porto, four new lines, expected to serve 1,200 passengers/hour, will be inaugurated today, adding this capacity to the existing machine. Thus, the new total capacity of this airport subsystem will benefit from an overall capacity increase of about 60%. Faro Airport was a precursor in the implementation of this type of equipment, operating since 16 January, having processed 100,000 passengers since then. For Faro, this equipment represents the ability to process an additional 1,200 passengers/hour. - They have new and larger support tables at the end, in order for the passengers to be able to collect their belongings and comfortably continue their travel. 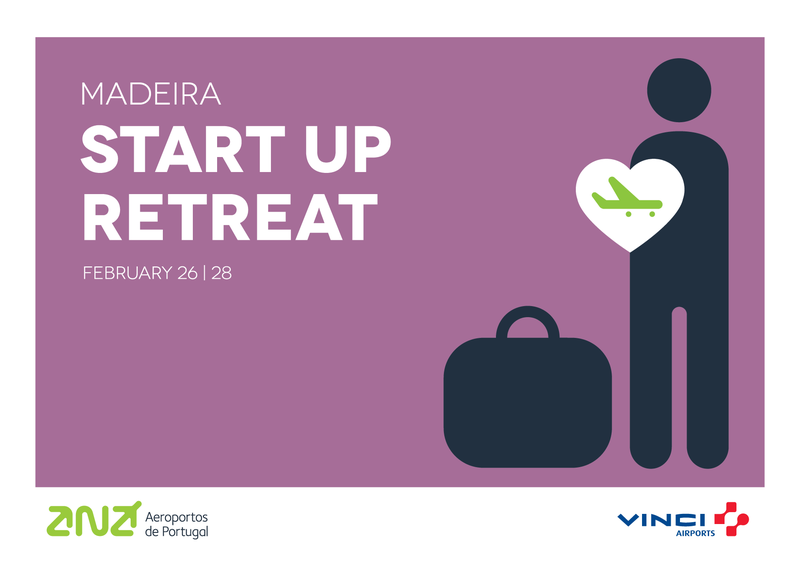 ANA Aeroportos de Portugal, part of VINCI Airports was an institutional partner of Startup Madeira in the Madeira Startup Retreat programme, supported by Turismo de Portugal (Tourism of Portugal) and by Nova School of Business and Economics. In this programme, the ten participating start-ups from around the world, selected from among 65 candidates, were challenged to develop solutions that contribute to the promotion of tourism on Madeira Island. As a corporate partner, ANA Aeroportos dedicated team members with various expertise to take part in a hackathon where a challenge was posed to the start-ups. Their role was to advise participants and answer their questions to make sure their proposals were adapted to operational needs. Thus, between 26 and 28 February, 10 start-ups were devoted to developing solutions to address a specific issue: how to improve passenger support and communication processes between the multiple stakeholders (airport, passengers, hotels, tourists, airlines, travel agencies, local accommodation businesses, rent-a-car, etc. ), particularly in times of operation constraints, such as events of climate change related to the winds which affect the airport activity, a recurring situation on Madeira Island. The Travel ID project from the MyBaseCamp start-up was the one chosen by ANA Aeroportos de Portugal in the second hackathon of the Madeira Startup Retreat. The jury from ANA Aeroportos included several Departments from different activities, with active participation from Madeira Airport, directly targeted in this challenge, as well as the Aviation and Non-Aviation areas, and employees connected to the areas of Innovation and Entrepreneurship and Communication. Leveraging innovation from multiple sources, VINCI Airports is continuously seeking new solutions designed to enhance service quality, convenience and the overall passenger experience. ANA’s participation to Madeira Startup Retreat enabled it to detect promising startups whose solutions respond to this objective. • Annual passenger milestones reached: 50 million in Portugal, 25 million in Lisbon, 20 million in Santiago du Chili, 10 million in Lyon-Saint Exupéry and Porto. In the fourth quarter of 2017, the network of airports managed by VINCI Airports served 38.5 million passengers, of which 36.5 million in the airports held on 1 January 2017, an increase of 11.9% compared to Q4 2016 on a like-for-like network basis. Over full year 2017, the VINCI Airports network served 156.6 million passengers, of which 148.9 million in the airports held on 1 January 2017, i.e. a 12,4%* increase over the previous year. In Portugal, the 10 airports managed by VINCI Airports reported a 12.5% increase in traffic in the fourth quarter over 2016, with 11.7 million passengers. The recovery in growth of traffic with Brazil was confirmed, while the American market remained dynamic thanks to the opening of numerous new lines in the summer of 2017, the impact of which boosted growth in the last quarter. 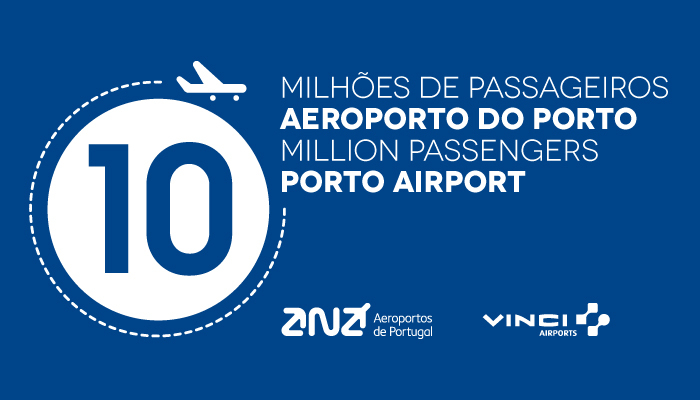 In 2017, for the first time in their history, the 10 airports managed by VINCI Airports in Portugal rose over the symbolic 50 million passenger mark, serving 51.8 million passengers over 12 months, i.e. 7 million more than in 2016 (+16.5%), including four million more passengers in the Lisbon hub alone (+18.8%), with a total of 26.7 million passengers served at year end. The other Portuguese airports also reported annual traffic records, exceeding symbolic thresholds for the first time: over 10 million passengers for Porto, 8 million for Faro and 3 million for Funchal in Madeira. In Cambodia, the very strong growth in traffic observed since January in the country's three airports continued into the fourth quarter. From October to December, the Cambodian airports welcomed 2.5 million passengers, up 23.7% on the previous year. These results reflect record development of traffic from China, together with good performances for all the airline companies based in the country. For the first time, the Cambodian airports rose above the 8 million passengers milestone in 2017, serving 8.8 million passengers over the full year (+25.1%), 4.2 million each for the Phnom Penh and Siem Reap airports (+25% and 21% respectively). The Sihanoukville tourist airport reported exceptionally sharp growth (+115%) since the beginning of the year, with 338,000 passengers. In France, traffic rose sharply in the fourth quarter (+10.1%). Exceptionally high growth trends continued in the fourth quarter for Nantes Atlantique, with traffic up 18.8%. All segments contributed, with particularly strong growth in international traffic. Five new lines were inaugurated in the fourth quarter and 12 seasonal lines now operate on a full-year basis. Since the beginning of the year, Nantes Atlantique has served 5.5 million passengers, i.e. 700,000 more than in 2016 (+14.9%). Growth in traffic remained brisk in the Rennes Bretagne (+10%) and Dinard Bretagne (+16.3%) airports in the fourth quarter, confirming strong demand in western France. With a rise of 13.1% since the beginning of the year, Rennes Bretagne rose over the 700,000-passenger mark for the first time, on the back of sharp growth in traffic to European destinations. Lyon-Saint Exupéry Airport reported growth of 6.8% in the fourth quarter, driven by international traffic, to Europe and North Africa in particular. With growth of 7.7% since the beginning of the year, Lyon-Saint Exupéry is confirming the change in scale following inauguration of the new T1 terminal in October 2017. The symbolic milestone of 10 million passengers was exceeded in December, with 10.3 million passengers welcomed over the full year. The VINCI Airports network's French platforms served 18.2 million passengers in 2017, up 9.4% on 2016. In Chile, the Santiago airport, where the foundation stone for the future terminal was laid in September 2017, reported 13.3% growth in the fourth quarter, with almost 5.8 million passengers welcomed. The new low-cost company JetSmart is continuing to stimulate domestic traffic, and international traffic - notably from Brazil and Argentina - also remained brisk, with growth of almost 30%. Thanks to an increase of 11.6% since the beginning of the year, the Santiago International Airport had served more than 21 million passengers by end December, i.e. 2 million more than in 2016. In Japan, the Kansai airports posted growth of 10.3% in the fourth quarter compared to 2016. As in the previous quarter, this increase is due largely to continuing strong development of international traffic, notably with China, and to very dynamic growth on the part of Korean low-cost companies, all of which increased their capacity at Kansai International Airport (KIX). The fourth quarter also saw a recovery of growth in traffic with Europe. In November, the four airline companies serving European destinations from KIX reported average seat-occupancy rates of over 90%. Traffic at KIX rose 15.6% in the last three months of the year. Since the beginning of the year, the KIX and Osaka-Itami airports have welcomed close to 43.6 million passengers, up 8.5% on 2016. In the Dominican Republic, the six airports managed by VINCI Airports reported growth of 0.9% in the fourth quarter. The passage of hurricanes Irma and Maria in September led to a sharp drop in traffic to and from Puerto Rico (-31,000 passengers in Q4), although this fall was offset by brisk traffic from North America, notably Canada and Mexico, which posted double-digit growth rates. All in all, the passage of the two hurricanes resulted in an estimated shortfall of around 45,000 passengers. With more than 5.1 million passengers served since the beginning of the year, the airports managed by VINCI Airports in the Dominican Republic reported traffic growth of 3.7% at year end. These excellent fourth-quarter performances confirm trends observed in the first nine months of the year. In 2017, VINCI Airports network platforms served close to 149 million passengers, an increase of 12.4% over the previous year. If we include Salvador Airport in Brazil, which VINCI Airports started operating on 2 January 2018, annual traffic in the network rose to 156.6 million passengers. These results reflect the proactive traffic development policy deployed by VINCI Airports with airline companies. Over the network as a whole, 272 new lines were opened in 2017. Ana Aeroportos de Portugal informs all passengers that due to the announced strike action affecting Security Control operators and the increased traffic registered in the course of the past months, It will be foreseeable that security control procedures in the Portuguese Airports will be subject to delays during the coming 24 and 25 December. ANA thus recommends that all passengers travelling on these dates arrive earlier at the airport and be aware of the instructions transmitted by their Airline Companies or Travel Agencies. We also suggest that passengers should check-in their luggage for hold transportation, so as to reduce the number of carry-on items to be security checked. ANA regrets all inconveniences caused to passengers and will make every effort to minimize the impacts of the strike. 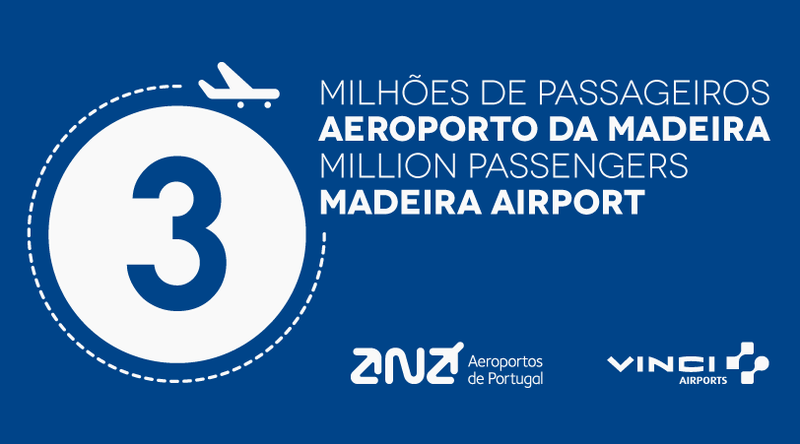 Madeira Airport has reached, for the first time ever, the 3 million passenger per year milestone. With constant growth in the last 4 years, Madeira Airport surpasses the growth of previous years in 2017 and closes with a record of over 3 million passengers processed. With this new record, Madeira Airport reaffirms it international airport positioning, with more that 55% of its passengers falling into the international passenger category. The United Kingdom and Germany continue to be the main emitting markets for the Madeira destination, but Poland, Switzerland, and Denmark, all of them showing a clear positive evolution, were important levers for this year’s growth. In 2017, Madeira Airport was connected to 71 airports, with 50 operators. The reinforcement and reprofiling of Madeira Airport’s runway, the remodeling of levels 2 and 3 of the passenger terminal that took place, namely that of the entire commercial area, and the ongoing and ever present investments in the accessibilities both inside and outside the terminal, are examples of large investments that ANA/VINCI Airports made at Madeira Airport, allowing its passengers to enjoy a more modern and functional infrastructure. These improvements have allowed a more complete offer and better service to the passenger, as evidenced by the quality of service studies of Airport users. The event that was organized today, 20, December, to celebrate this historic milestone was attended by His Excellency the President of Madeira’s Regional Government, Miguel Machado de Albuquerque, and by ANA’s CEO, Carlos Lacerda, who stated that this “was an historic milestone for a Region that in spite of having been receiving tourists for quite a long time, knew how to adapt itself to the evolution of Tourism and that enjoys full and constant connectivity with a dynamic Airport, which too has been preparing to cope with this growth and which seeks its best identity in the diversity of connections and operating airlines that it offers. It should be noted that, since 2014, the year of ANA's privatization and integration into the VINCI Airports network, we have had here at Funchal, 11 new destinations, 12 new routes and 9 new airlines. We acknowledge our responsibility in the development of tourism and we will do all needed to ensure that the airport will continue to be, ever more so, a facilitator of increased economic value and employment in the Autonomous Region of Madeira”. 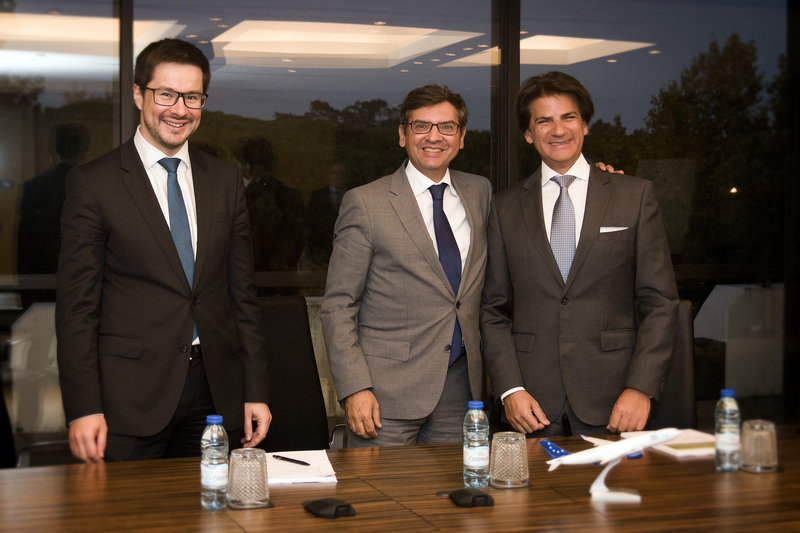 During the event it was also made public the fact that ANA Aeroportos de Portugal and VINCI Airports will be partners of Startup Madeira, for the “Startup Retreat”. This is an initiative of Startup Madeira, that will take place in the first quarter of 2018. This acceleration program is sponsored by Turismo de Portugal within the scope of the FIT (Fostering Innovation in Tourism), and will also have the partnership of the Regional Government of Madeira. ANA/VINCI Airports celebrated this festive occasion inviting its employees and all the airport community to celebrate together in an event where the efforts of all the partners that made this framework possible were recognized. For the first time Francisco Sá Carneiro Airport (Porto Airport) surpassed 10 million passengers in a single year and, with consistent and progressive growth, has become an international reference airport, both in terms of infrastructure quality and quality of service provided to the passenger. At the end of the third quarter of 2017, Francisco Sá Carneiro Airport recorded a growth of 16% in passenger traffic compared to the same period of 2016. This growth trend means that between the 6.3M passengers in 2013 and over 10M in 2017, the growth in this period is over 50%. 2017 was also marked by the capture of new airlines like Air France / KLM and Royal Air Maroc operating from Porto, and recorded in terms of air traffic development other important achievements such as the new route Porto - New York which will be operated by United Airlines from 2018. These achievements reflect all the work of adapting to the needs of airlines and passengers, especially considering the huge area of influence of the Port Airport that encompasses a population of six million people, that is, the largest area of influence in Portugal and one of the largest in Europe. In this context of celebration, it is also worth noting that Francisco Sá Carneiro Airport has been voted Best in Europe in the category of 5 to 15 million passengers. The distinction was attributed by the ACI - Airports Council International and comes within the framework of the Airport Service Quality (ASQ) study, the world's leading benchmarking program for assessing passenger satisfaction. The results of this study are based on the questionnaires filled out by the passengers, who thus transmit their opinion about 34 indicators, namely the services offered by airports regarding service, waiting times, courtesy of the staff, cleanliness of facilities and comfort. In order to continue to guarantee these levels of excellence, the airport is currently working on some constructions, namely in extending the area of security control in the airport, which will allow to process more passengers maintaining the high level of service that Porto Airport passengers are already used to it. Is also underway the expansion of the road that will contribute to the final and permanent goal of growth and development of the Francisco Sá Carneiro Airport. Nicolas Notebaert, CEO of VINCI Concessions and Chairman of VINCI Airports, expressed his pride in the results achieved by the Porto Airport, noting that "this airport is in the top 5 ranking of VINCI Airports, due to its size, growth, quality of service and variety of offer. " Carlos Lacerda, President of the Executive Committee of ANA Aeroportos de Portugal, said that Francisco Sá Carneiro Airport "is an airport where we have installed capacity and that is why it is so relevant in our organization, knowing that in its growth there is a quick-win that isn’t just the airport and ANA / VINCI Airports, but especially the region and the country. " The interventions in the event of the celebration of the 10 million passengers included also the participation of the Secretary of State for Infrastructures, Guilherme W. d'Oliveira Martins, the President of the Metropolitan Area of Porto, Eduardo Vítor Rodrigues, the President of the Porto City Council, Rui Moreira, and the Mayor of Maia, António da Silva Tiago.